Don’t call it a Volkswagen. 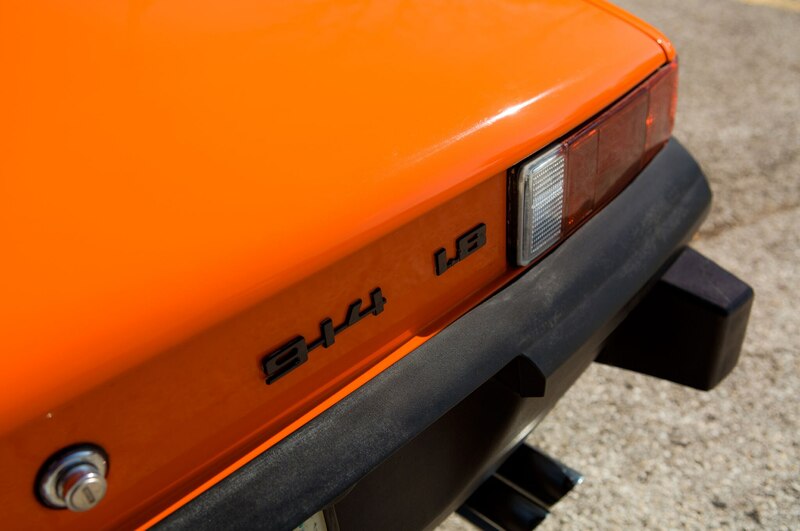 On the list of revered Porsche numerals, 914 sits pretty far toward the bottom. 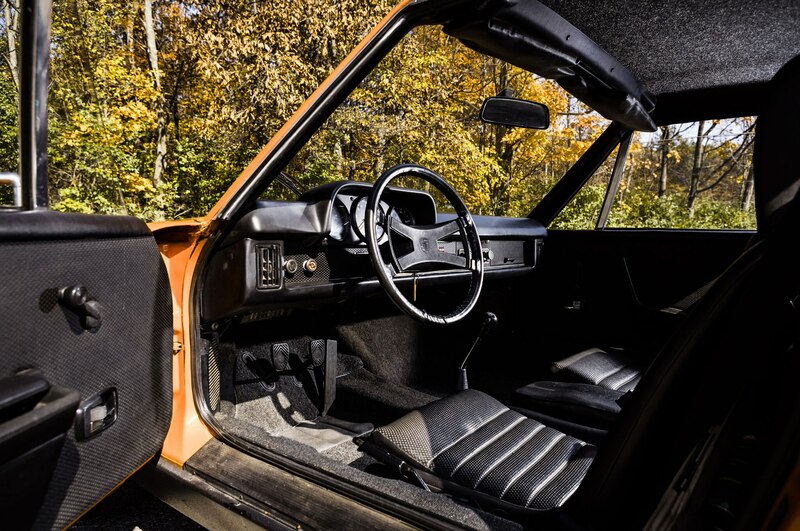 A forgotten, somewhat unloved car, the 914 came to fruition when Porsche found itself with a business conundrum in the late 1960s. 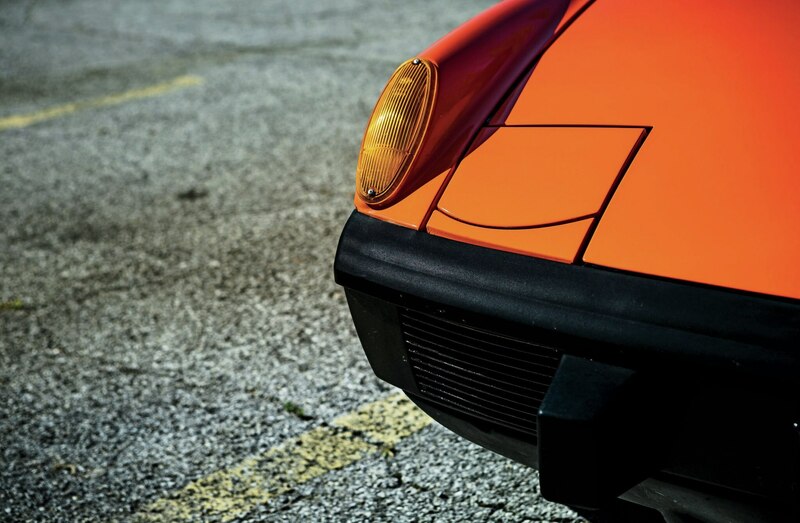 The price of its 911 was rising beyond the reach of many car enthusiasts, yet its entry-level 912 was dated and no longer as competitive as cars like the Datsun 240Z. Ferry Porsche wanted a new affordable sports car but was hesitant to pay for development of an entirely new car. The solution? Use existing Volkswagen engines, initially an affordable 1.7-liter from the VW Type 411E, to create a cheaper Porsche model. 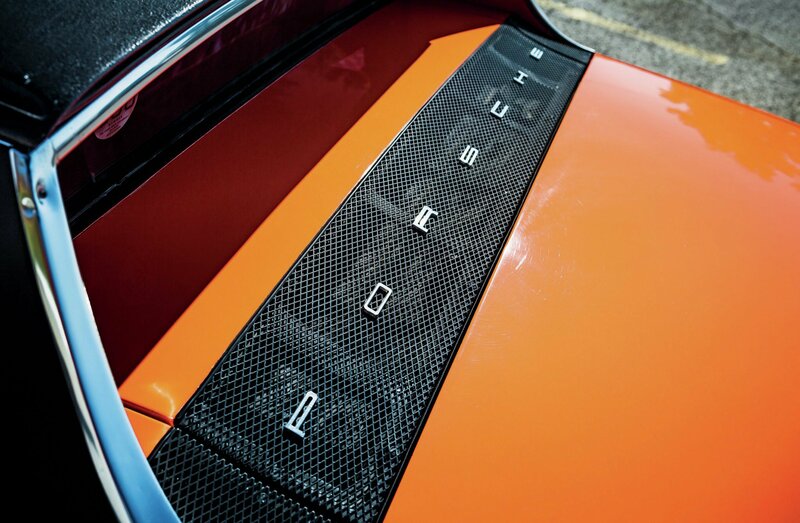 The targa top stores behind the engine, but there’s still plenty of cargo space (as well as the fuel tank) up front. 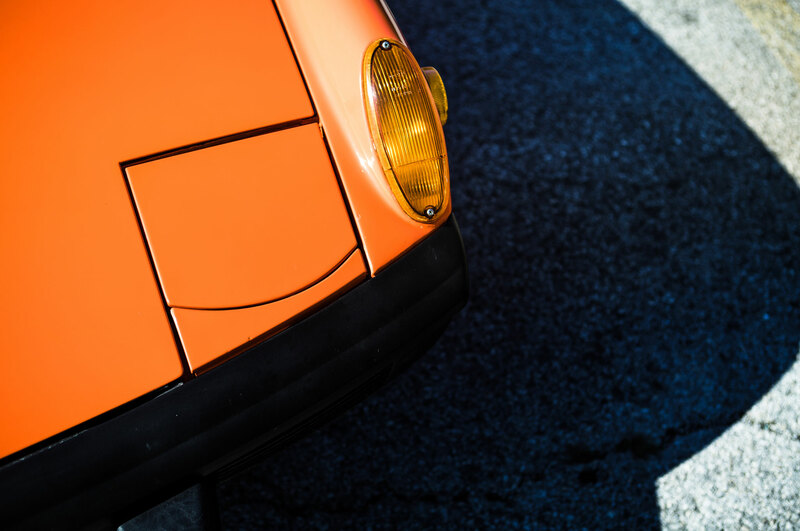 Drawing inspiration from a concept penned by German designer Hans Gugelot, Butzi Porsche created a mid-engine targa-top sports car that would be assembled by German coachbuilder Karmann. 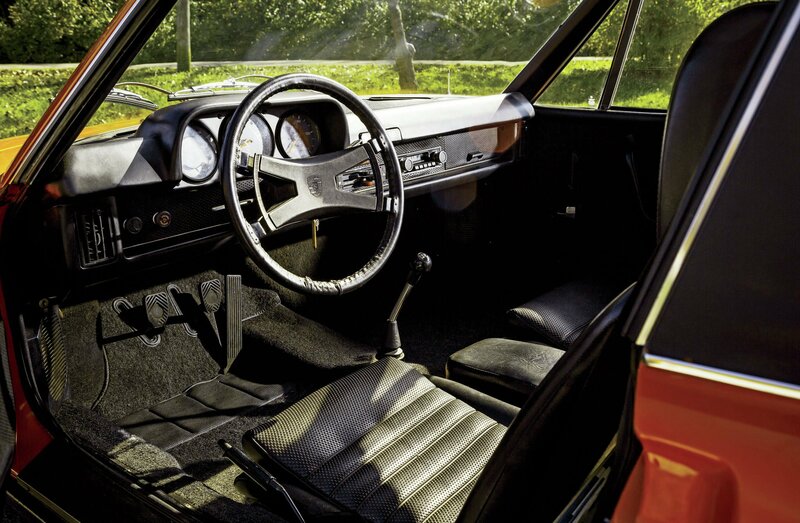 The practical design provided almost 50/50 weight distribution, with a deep luggage compartment ahead of the front-mounted fuel tank and enough interior space for tall drivers. 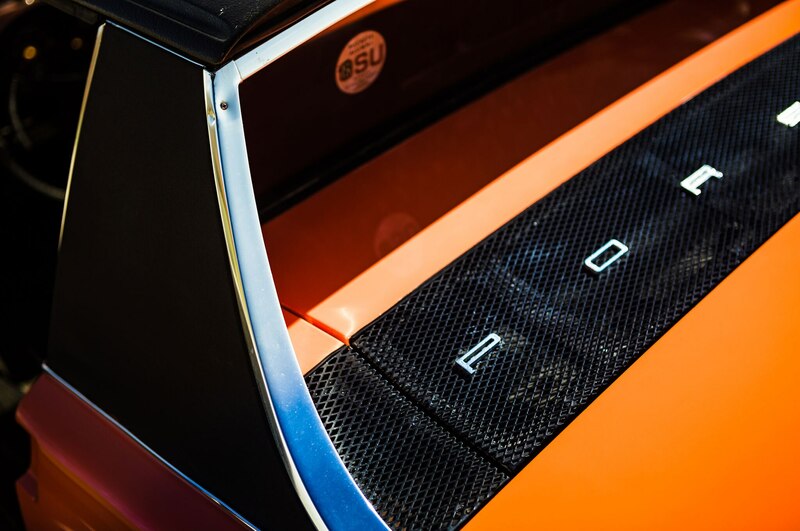 The car was also extremely light, improving its handling and acceleration. It’s also easy to see how this more affordable, mid-engine model paved the way for the modern-day Porsche Boxster and Cayman. 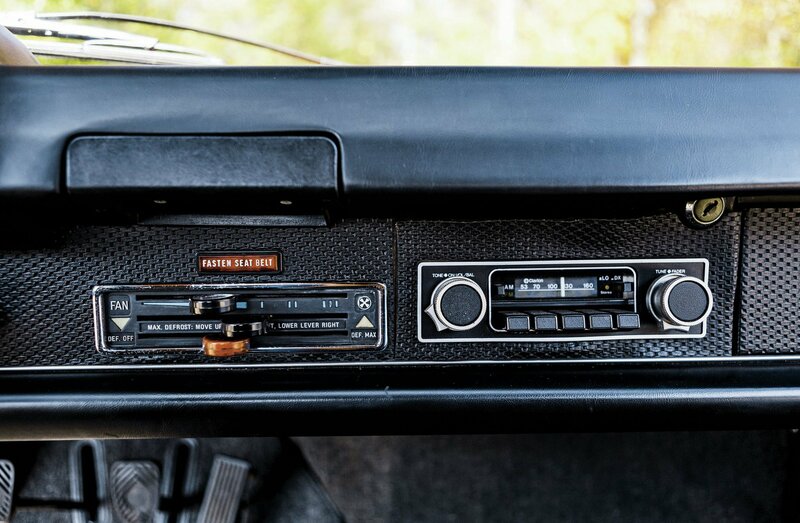 The 914’s interior is refreshingly simple—the radio didn’t even come as standard from the factory. That’s not to say the car didn’t have any sporting pedigree. 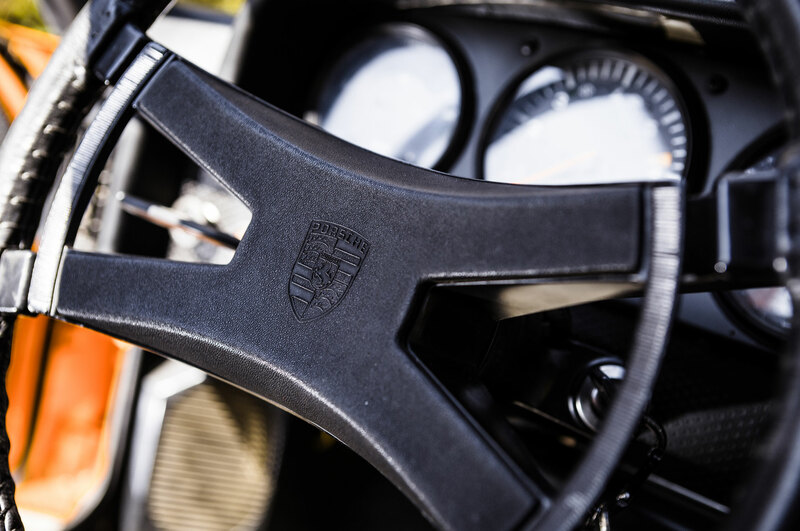 Porsche experimented with higher-output models, striking a deal to have Karmann ship completed 914s to Zuffenhausen, Germany, where they were fitted with a six-cylinder engine from the 911. 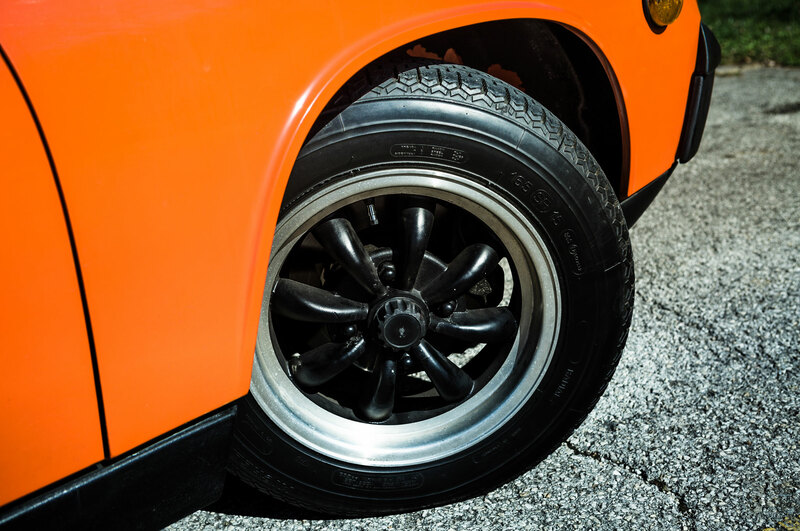 The 914/6 models, of which only about 3,300 were built, boasted 125 hp from the 2.0-liter flat-six and could hit 60 mph in around 8 seconds—considerably quicker than the regular VW-engined 914 and close to the performance of contemporary 911s. 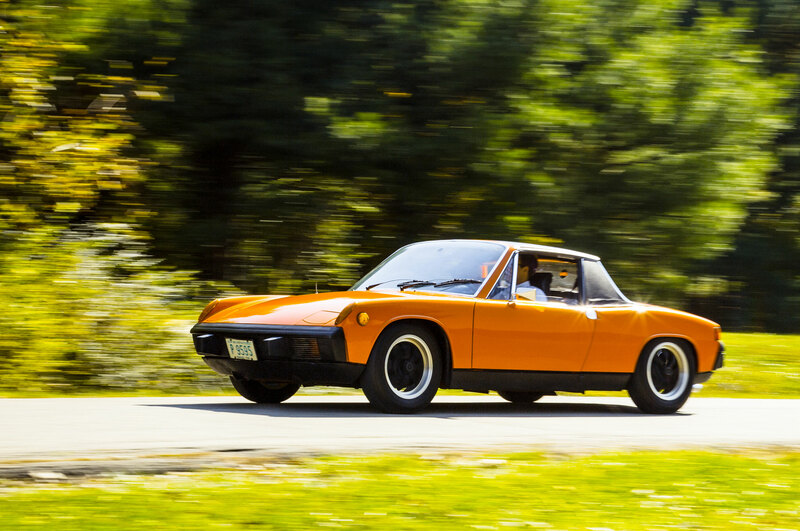 But getting the bodies to Zuffenhausen for the engine transplant was expensive, and the 914/6 was short-lived. 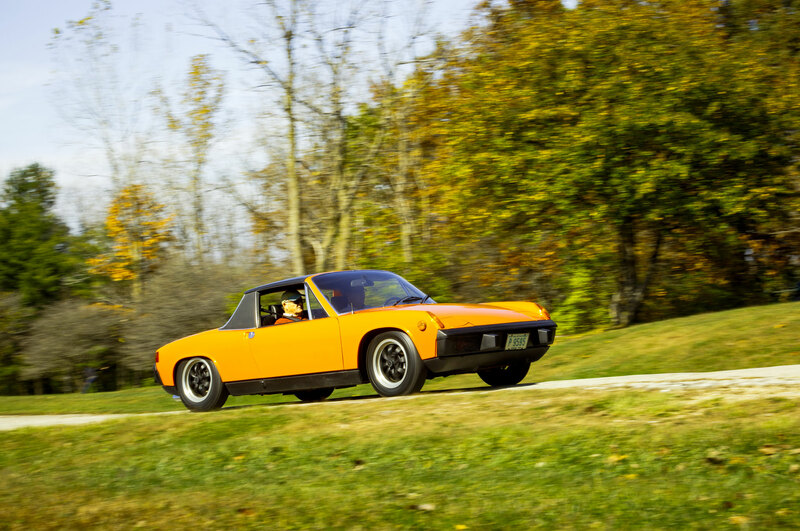 “Inexpensive” was a key reason Ted Chaney began looking for a Porsche 914 in the early 1970s. He wanted his first Porsche to be a 911, but found prices for them were rising faster than his savings account could handle. 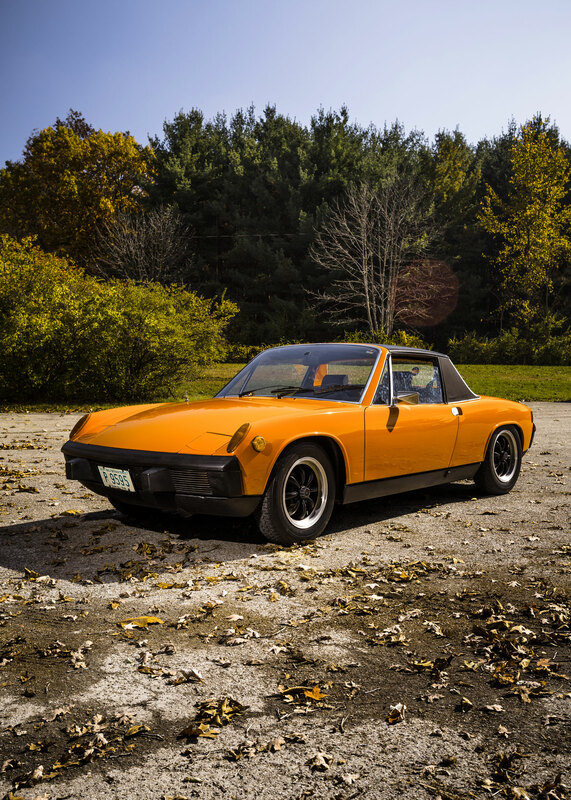 He ended up paying $4,100 for this 1974 Porsche 914 1.8 in 1976. 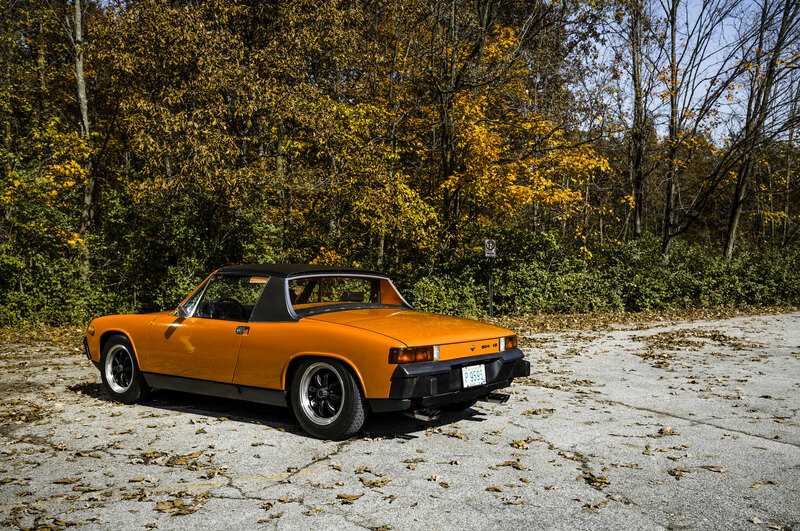 For the first few years, the Porsche 914 was Chaney’s daily driver in Ohio—at least from April through October of each year, when he used to leave the black targa top off permanently. 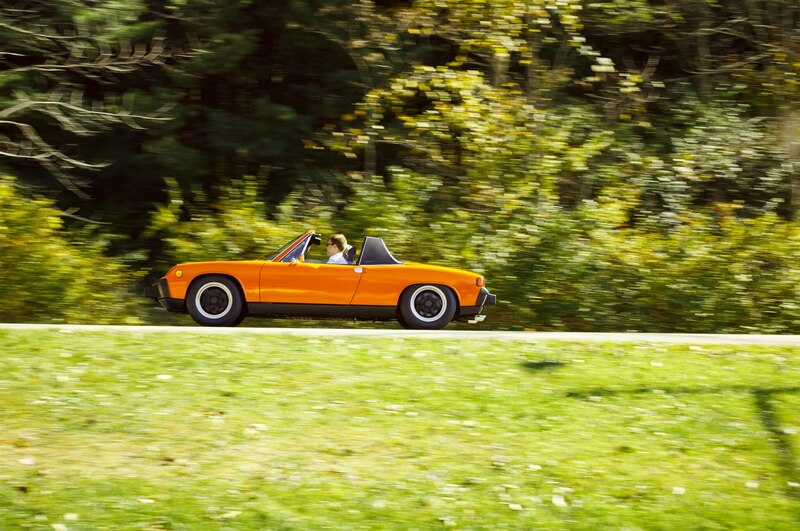 It gets less use nowadays, but the 914 is no garage queen. 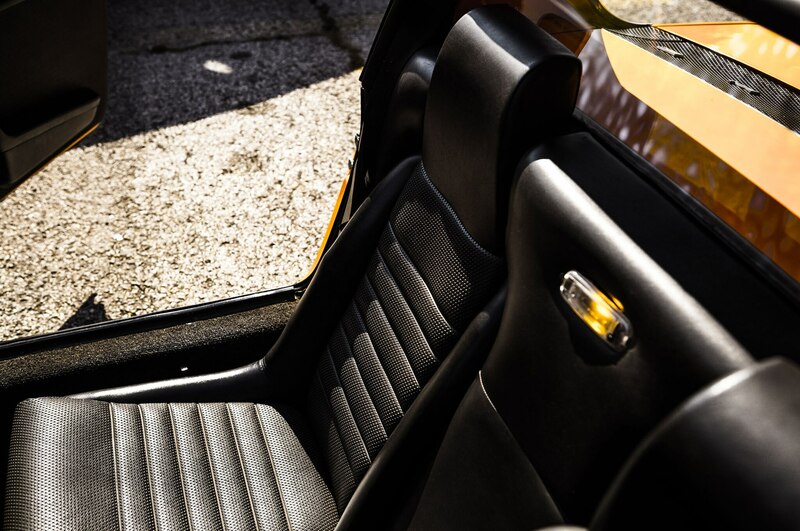 The odometer broke in the early 1990s at 88,273 miles, and Chaney guesses the car has covered another 40,000 miles since then, including trips from his home outside Columbus to as far away as Traverse City, Michigan, and last summer’s Woodward Dream Cruise. 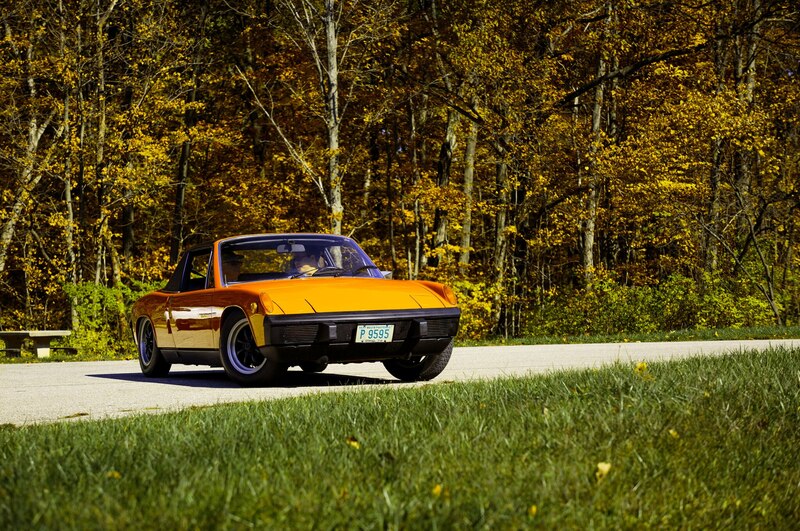 All Porsche 914s use electrically actuated pop-up headlights.The American cars use these uniformly amber turn signals. Chaney is well aware of the reputation that dogs the Porsche 914, with friends telling him, “Well, it’s just a Volkswagen,” but he doesn’t really care. He says it’s one of the best-driving cars he’s owned and that he has no plans to sell it. The car even won an award at a local Porsche show. 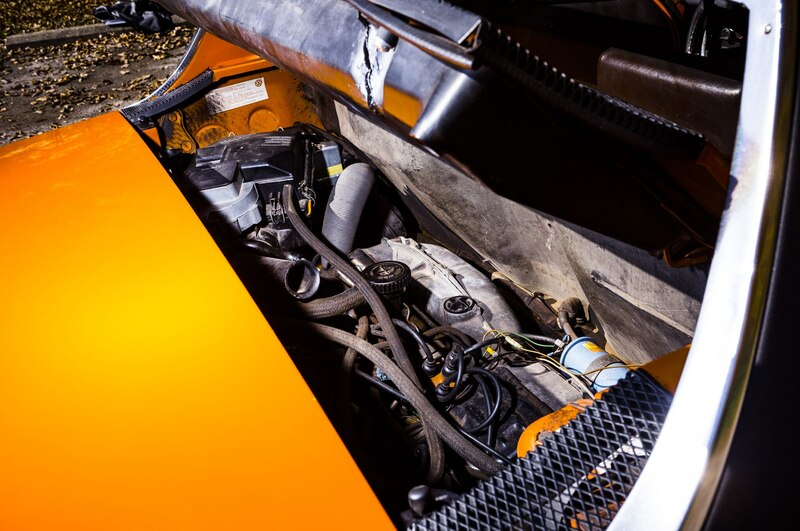 Better yet, it has needed precious little maintenance over the last 38 years: a new clutch, a valve job, fresh paint, and a handful of consumables such as tires and brakes. 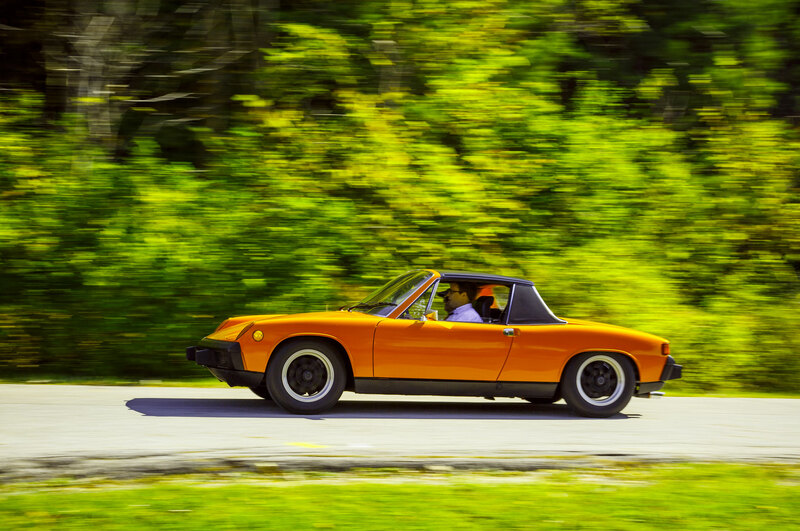 The Porsche 914 may be a People’s Car at heart, but it has a few peculiarities that stick out to the novice driver. 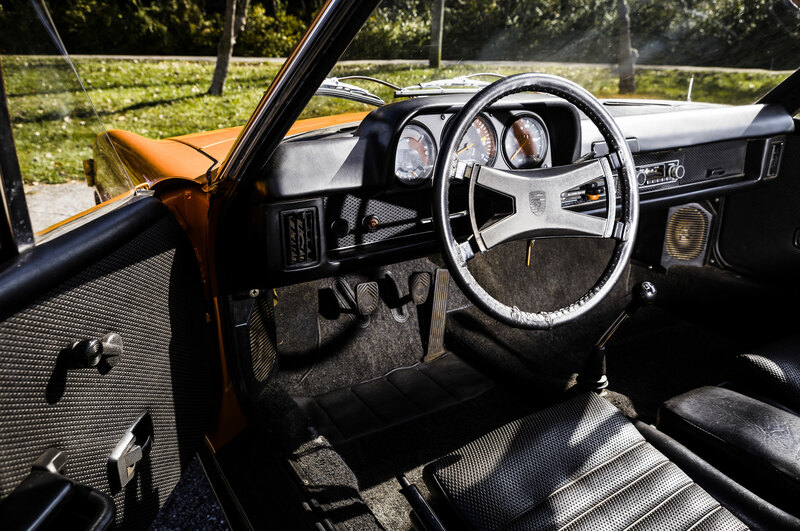 The pedals are offset toward the center of the car, and the many linkages required to connect the shifter to the rear-mounted transaxle introduce plenty of vagueness into gear changes. 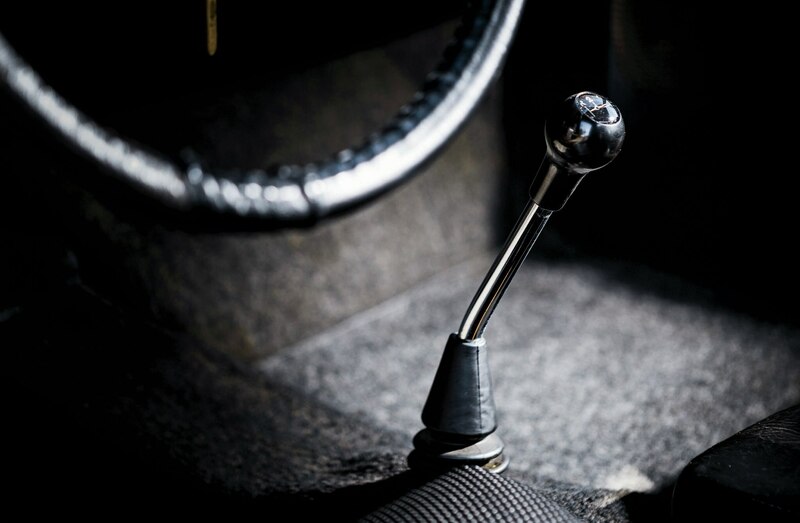 It takes a few minutes of using the dog-leg five-speed gearbox before locating first, second, and third becomes natural. 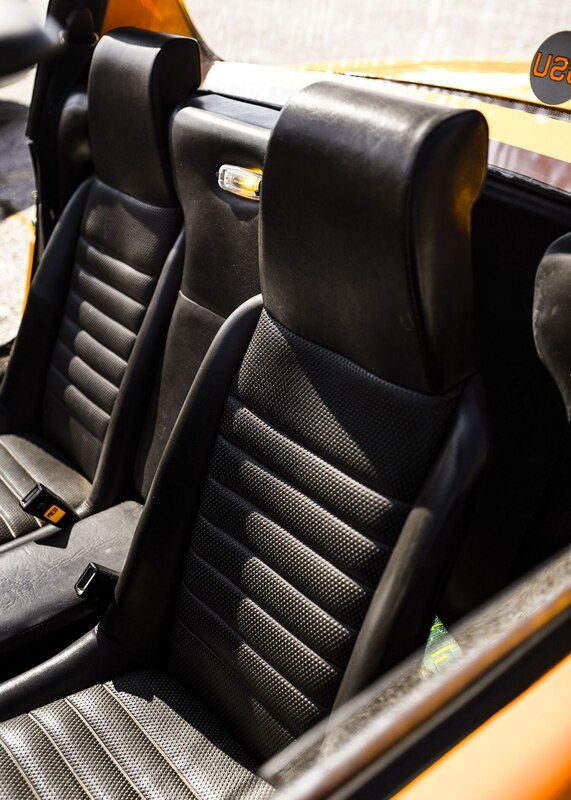 And although the engine is fuel-injected (with mechanical ignition), warm starts require a firm prod of the throttle to coax the flat-four back to life. 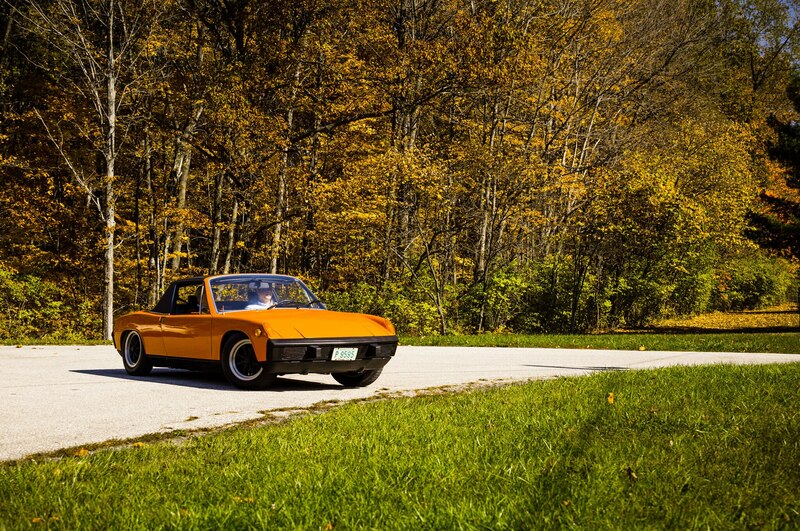 Porsche purists who look down their noses at the 914 should think again. 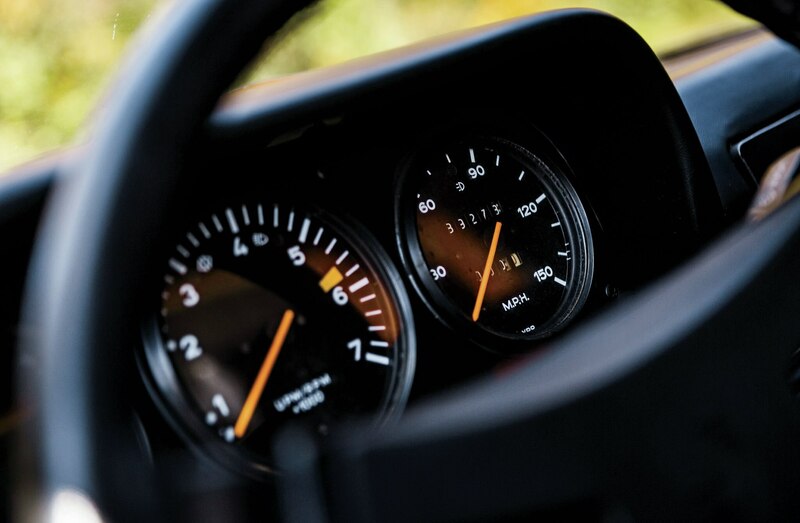 While the mid-engine car can’t match the panache or performance of a contemporary 911, it delivers a big portion of the Porsche ownership experience without the expensive bills. It’s also easy to see how this more affordable, mid-engine model paved the way for the modern-day Porsche Boxster and Cayman. Just don’t tell your friends it has a VW engine. Value Today $15,000-$23,000. A 914/6 can command twice as much. 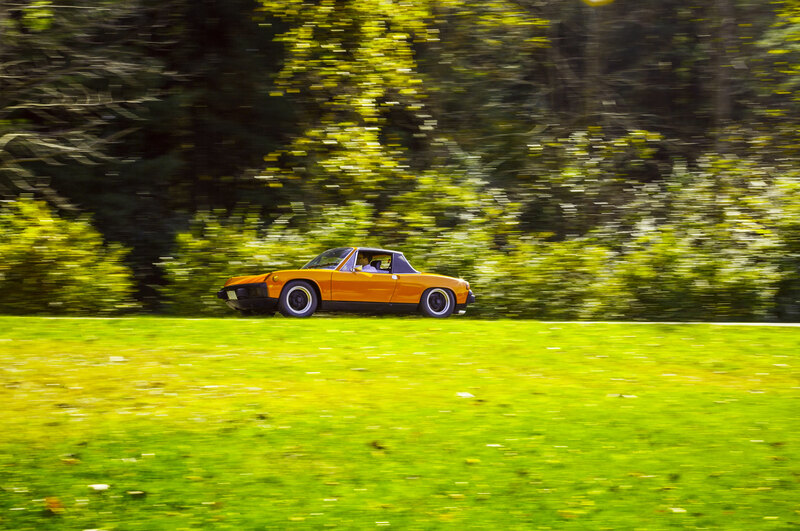 The 914 provides much of the driving fun and vintage appeal of a classic Porsche for a fraction of the cost—both in terms of purchase and upkeep.